20.5 ACRES - Front Row Development Property With Epic Ocean Views!!! Costa Rica Real Estate is proud to present this prime 20.5-acre front-row development property on Costa Rica’s Southern Pacific Coast. Simply put, there is nothing else like this. This is the best – and last – large development property in the Dominical area, or anywhere else on Costa Rica’s Southern Pacific Coast. The property features an epic ocean view, is within walking distance to the beach, and is minutes to the most popular tourist attractions in the region. If you are an upscale resort developer or a luxury home builder, this is the finest property available anywhere from Jaco to Ojochal where you can capitalize on the fastest growing tourism destination in the country! Location, location, location – Ideally situated between the towns of Dominical and Uvita, one of the hottest real estate markets in Costa Rica, this property features a prime front-row location, with unobstructed ocean views overlooking Dominicalito Bay and up the Pacific Coast to Manuel Antonio National Park. This is the closest titled property to the beach with stellar ocean views on Costa Rica’s Southern Pacific Coast. An exclusive hospitality resort or a luxury residential development are excellent choices for this one-of-a-kind development property. While neighboring luxury vacation rental homes in the Las Olas and Canto Del Mar communities are flourishing here, there are no existing flagship hotels currently operating that can capitalize on the increasing amount of tourism dollars coming to this region of Costa Rica. With that said, opportunity awaits and this property is ideally situated to meet the demand. Highlights in the immediate area include the neighboring Poza Azul Waterfall, the iconic La Parcela Restaurant, the Marino Ballena National Park with the world famous Whales Tail reef formation, the Nauyaca Waterfall, surfing at Playa Dominical, and an abundant array of Costa Rican wildlife. On top of that, the property sits directly above the tranquil waters of Dominicalito Bay where boat owners have a safe harbor to moor their vessels after an exciting day of sailing and fishing. The topography of the land features easily developable ocean view ridgelines, flat building sites, and a lush rainforest valley, this development property can accommodate a wide variety of construction concepts ranging from a large resort, an upscale condo development, or a high-end gated community with up to 11 estate-sized land parcels for luxury homes. This offering also includes areas that are highly viable for commercial real estate development with 46 meters of highway frontage providing excellent opportunities for retail space, restaurants, project signage, and direct access to the property from the most highly traveled roadway on Costa Rica’s Southern Pacific Coast. On top of that, possession rights to another 1.94 Hectare land parcel are transferable to a buyer, increasing control of the highway frontage by an additional 125 meters. This property has everything: Whitewater ocean views, a prime location walking distance to the beach, and a beautiful natural setting in one of the fastest growing regions in Costa Rica – all of these factors make any project developed here highly marketable. 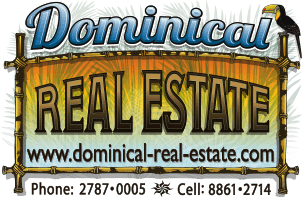 In summation, if you are looking the perfect location for a development property in Costa Rica, this property will provide you everything you are seeking and more.